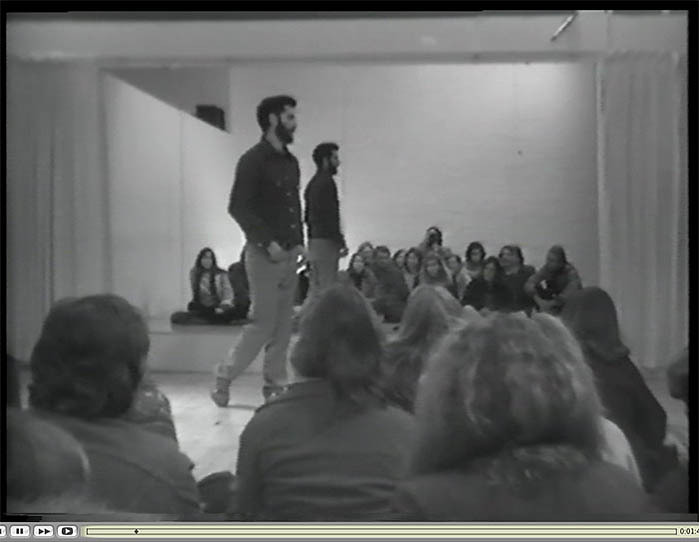 For Performance/Audience/Remake, Hannah re-stages Dan Graham’s seminal Performance/Audience/Mirror (1975), in which Graham described his own actions and those of his audience as he stood between the attentive crowd and a mirrored wall. 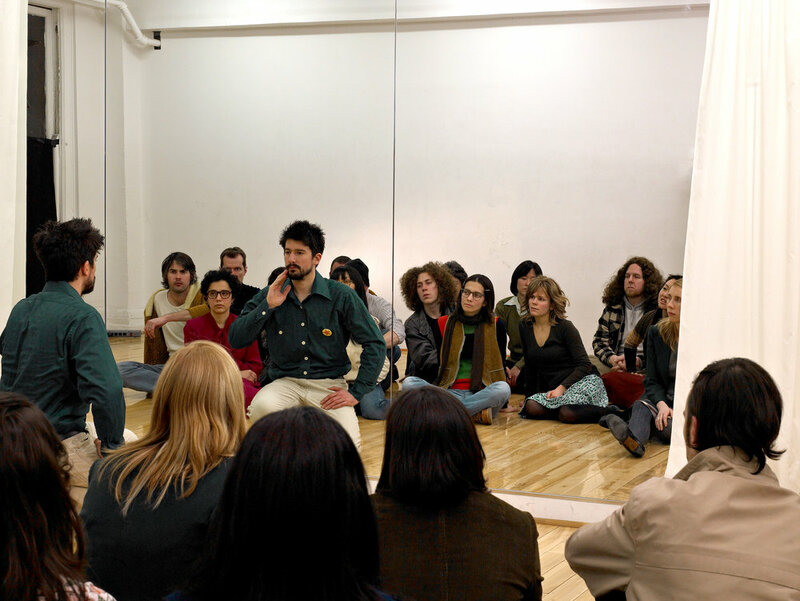 Graham’s performance was documented in a video, which Hannah mimics in his work. 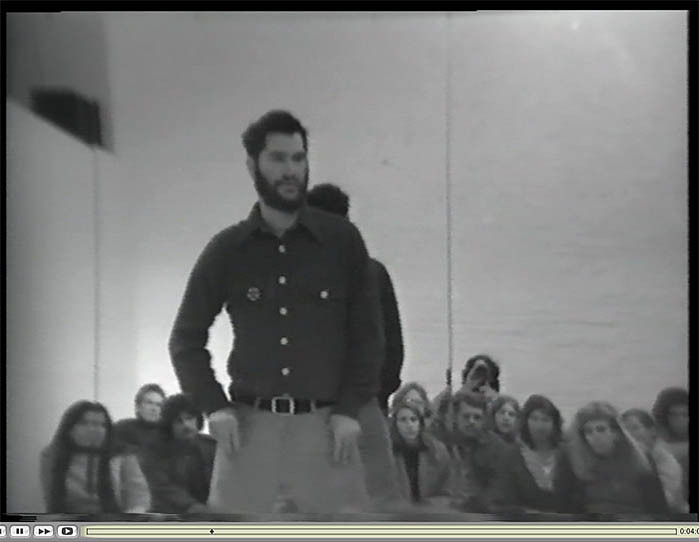 Rather than re-enact the entire performance, Hannah staged the scene for the camera, creating a series of “faux photographs,” videos in which surrogates for Graham and the audience stay motionless. Mirroring is a paramount motif in Hannah’s photographs and videos, developed from an interest in distinguishing image from object, and representation from reality. He conflates the replica with its subject, asking us to consider what the difference holds at stake. In Performer/Audience/Mirror, Graham uses video to document an investigation into perception and real time informational "feedback." The performance is doubly reflected back to the audience by the artist's lecturing, and the architectural device of a mirrored wall. Graham has written extensively on how video, which can deliver information in real time, functions semiotically as a mirror. 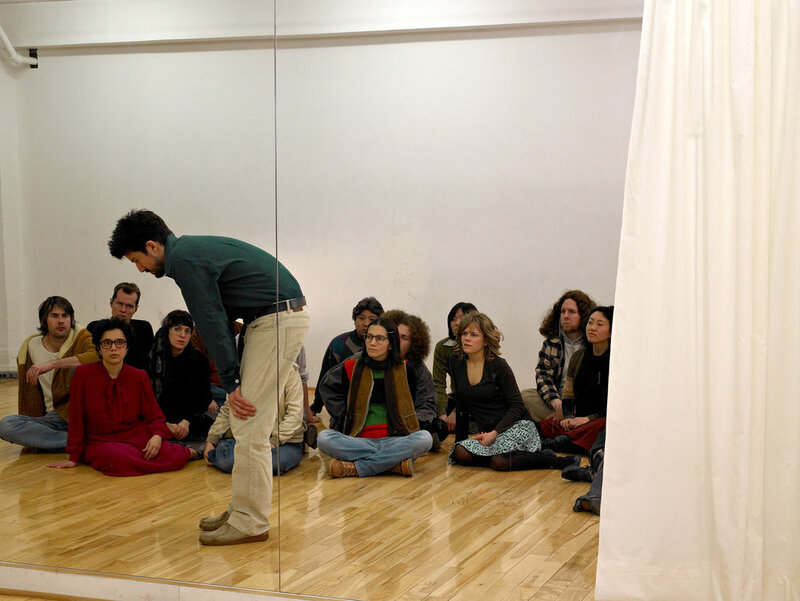 Using the mirror at the back of the stage as a monitor, Graham voices his unrehearsed observations, activating the various feedback cycles taking place within himself as performer, between the performer and audience, and among audience members. Issues of duration and attention are critical for both performer and audience.